After the countless hours you spend pouring into planning your wedding, the day passes in a whirlwind of emotion and excitement. It's a day for memories in the making. Proper preparation is key to making sure that you'll get the very best photographs to reminisce on your wedding day. We've gathered information from a few of our award-winning photographers to give you a step-by-step guide to everything you need to know about getting the beautiful pictures you expect. According to Chicago-based photographer Ken Carl, having realistic expectations about how much time it actually takes to get photographs during the day is essential. 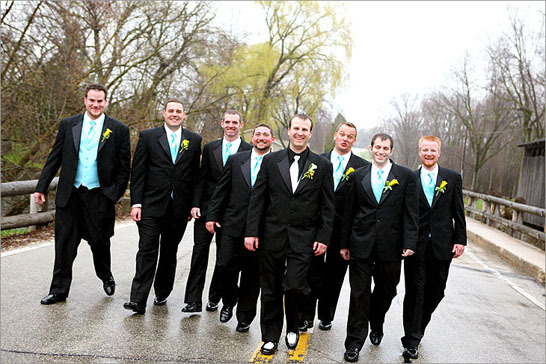 "The bridal party generally underestimates how much time it takes to get from point A to point B," he says. So if you have a number of spots you feel you really want to travel to for wedding photos, make sure you can squeeze them all in the time frame you have. Unforseeables like traffic and delays in the wedding schedule can occur, so buffer time estimates, be prepared to hit the most important spots first, and know that plans might change. Bella photographer Luke Kypr has his own thoughts on planning around traffic in the city: "Downtown Chicago can get especially busy with traffic, making it challenging to make all the stops," he explains. 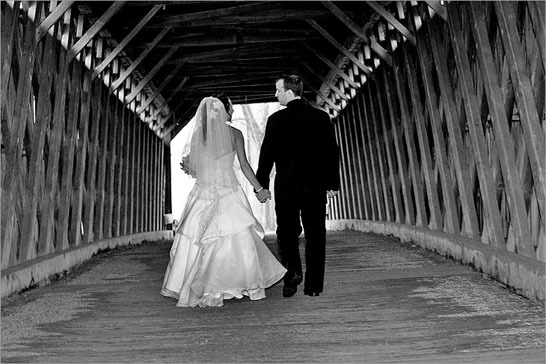 Photography Consultant about how to best schedule this part of your wedding day. The benefit of working with Bella Pictures is that we help take the guesswork out of selecting a wedding photographer. Based on your likes and dislikes, Bella recommends the best professional to capture your wedding — in your style. To help ensure that you get the photos you want, be as specific as possible with Bella's professional photography consultants. Share with them examples of photographs you love. Taking some time to assess what you hope to capture in photographs helps to make the process go that much more smoothly. Now that you have your photographer, it's important to communicate exactly what you're looking for. Sometimes, it can be difficult to describe in words what type of photographs you want. Browse through the photographer's portfolio, and point the pictures you love. Look for poses, candid shots, and sentimental moments that grab your attention and present them to your photographer. 4. Review the contract and then review some more. Let's face it, contracts aren't the most engaging piece of written material out there. But they are a necessary part of the wedding planning process. If you have any questions at all, make sure to get them resolved before the big day. If you're working with Bella, your Photography Consultant will be able to give you all the answers. 5. Make a list and check it twice. Posed shots are typical of many wedding albums. Usually your photographer will capture a great deal of these after the wedding ceremony. Sometimes the reception can be another appropriate place to take the more formal wedding shots. It's always a good idea to compile a list of all the relatives and friends you want grouped together for formal photos. "Assign a friend or family member to act as photo coordinator," advises Luke Kypr. This person should own your list of portraits and must-have shots and should work with your guests to make sure they're ready to go when it's picture time! As a bride, you want your photographer shooting amazing images — not tracking down your aunts and uncles. At Bella, we hear time and time again from clients who take this advice how smoothly the day went and how they ended up with every shot they wanted. 6. Secure the transportation and parking. Making sure the transportation and parking are in order is a simple yet easily overlooked detail. If you will be traveling to various locations, check ahead of time to make sure that parking will be accessible so that the photographer can spend his/her time capturing those coveted photos. 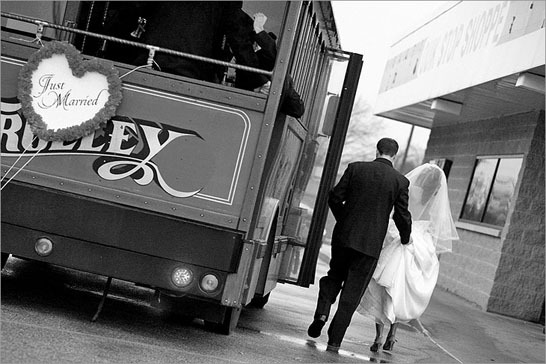 One option you might consider if parking is difficult is to have your wedding photographer ride with you in the limousine or whatever vehicle you'll be using to transport the wedding party around. Keep in mind what you'll be wearing when you plan for your wedding photography. For instance, if you want to take fun photos frolicking along the grassy fields of Jackson Park's Bobolink Meadow, don't expect to do it wearing a ten-pound corseted gown with pristine satin high heels that dig into the grass. Bring a change of shoes, pick a more appropriate venue, or plan on keeping the tone of the photos in line with your attire and that of your wedding party. We've pulled together this helpful list of must-have moments you'll want for your wedding memories, in order of the wedding timeline.